This session is perfect for both new and seasoned handmade business owners who want to start or improve their website. Limited Spots Available each month. Feeling a bit stuck? Want to pick my brain? That’s what I am offering with my 1-on-1 website consultations. Let’s chat! I love hopping on video calls with fellow creatives to talk about their business building struggles and victories. I really enjoy helping people build their brands, position their products, and improve their website presence! Book a 1-on-1 session with me so we can sit down for a digital meet up and discuss your handmade business website. 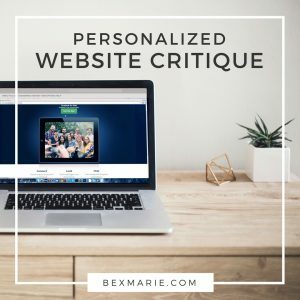 I can help you with getting started, walk you through a specific task, show you how to do something on your site, or help you overcome a specific website hurdle. Please leave a short note about topics you’d like to cover along with a link to your website (if you have one). Note: You will receive an email with a link to book your call with me. Within 2 business days, I’ll send you an email with a link to book your call with me. After you book your call, mark your calendar. Before our meeting time, I’ll send you another email with a link to join the meeting. The time is yours, so let me know if there is anything specific you’d like to discuss. Before we meet, I will review your notes, questions, and website and make mental notes based on my observations. If you want feedback on your branding or other design, send over those files after booking your call and we can review those. 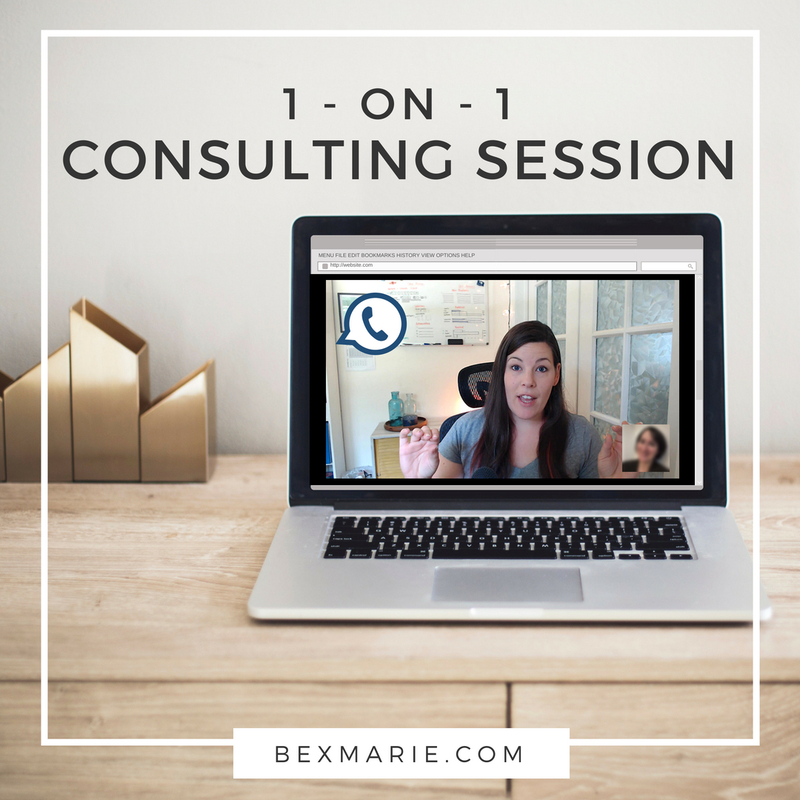 We will jump on a video call together so we can talk face-to-face about your website goals, struggles, and strategy! If you really do not want to be seen on camera, and only wish to be heard, you can turn off your camera. Then I can share my screen while we both look at your website or branding together. If you need help getting started, I can show you exactly what to do or we can do it together. If needed, you can share your screen with me too! Everything we discuss will be tailored to you – your website, your brand, your products. That’s the advantage of booking a one on one – you could spend a year or more searching the internet for reliable info or you could save yourself some time and learn from my experiences and expertise. Please note, you will need to download Zoom for the video call, but it’s super easy and quick. If you prefer to use Google Hangout please let me know. You’ll need a computer with a mic (and camera if you want me to see you). I also recommend a pair of earbuds or headphones to reduce echo. I’m a self-taught web designer. I started making websites as a kid in the early 2000’s. Back then, I wrote HTML to create pages. I graduated with a Bachelor of Fine Arts with a concentration in graphic design from my local University in 2010. I learned the principals of design, color theory, typography, logo design & branding, package design, page layout, and more. I fulfilled my internship at USA Weekend Magazine, a sister publication to Gannett’s USA Today newspaper. I’ve been working as a professional web designer for 8 years. During those years, I’ve worked with several website platforms including Magento, Drupal, GoDaddy, Wix, Weebly, DNN, and WordPress. Now I enjoy building custom WordPress websites for my clients, and I also consult and teach handmade business owners / Etsy sellers how to create and manage their own website for their handmade product-based business. This is a non-refundable offering, all sales are final due to their personalized nature. If I see your website and think I cannot at all make suggestions, I will refund you before beginning. I make no guarantees about results.